It was fun while it lasted, but the people have spoken. So have New Brunswick’s all-but-departed, hydraulic-fracturing development and production companies. Now, we can declare it: Dear fracking, rest in peace. You were the bad boy of the oil and gas industry in these parts. With your exploitation of sedimentary rock, your hidebound determination to squeeze every last drop of fossil fuel from the ground, your propensity for threatening supplies of drinking water, and your potential for causing the odd, situational earthquake, you were Marlon Brando or James Dean to our Julie Andrews or Jean Simmons. We, you and I, were never matches made in economic heaven, after all. Even a rebel with a cause needs a willing audience to survive. Without this, casual affection – let alone love – fades, withers and eventually dies. That happened a few weeks ago, when a special commission of the provincial government sent down its report, declaring that elected officials had but two options: proceed with building an environmentally responsible industry around tight plays of onshore reserves of natural gas, or forget the whole thing. Through its silence on the issue, the Brian Gallant government has chosen Door No. 2, though this hasn’t prevented the province’s energy minister, Don Arseneault, from jamming his foot in the stoop for what’s likely to be one last time.“At the end of the day,” he told Brunswick News Inc. last week, “there’s still a lot of work to be done. Still, who are those companies? SWN and Corridor Resources? Where, exactly, is the“strong support”for this industry in New Brunswick? For four years or more, we’ve had a chance to weigh the pros and cons at the expense – in time, money and distraction – of considering other, durable means of rebuilding the provincial economy consensually. During this time, we have failed to make any significant progress beyond occasionally mitigating the toothache of useless ideological debate. 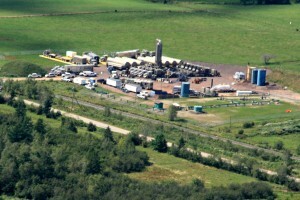 Fracking in New Brunswick had its pale moment in the sun. The sun has now set. It’s time to move on and consider all the other options for economic development. Dear fracking, RIP. Alec Bruce is one of Atlantic Canada’s most-read, most-esteemed journalists. 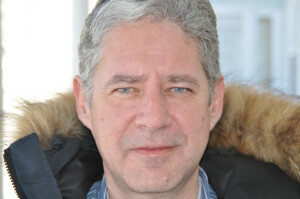 Currently daily current affairs columnist for the Moncton Times & Transcript, and New Brunswick Contributing Editor to Atlantic Business Magazine, Alec has held senior staff positions at the Globe and Mail (national, city and business sections), Report on Business magazine, the Financial Times of Canada, Commercial News magazine, and the Moncton Times & Transcript. Posted in: Fracking and Economics.